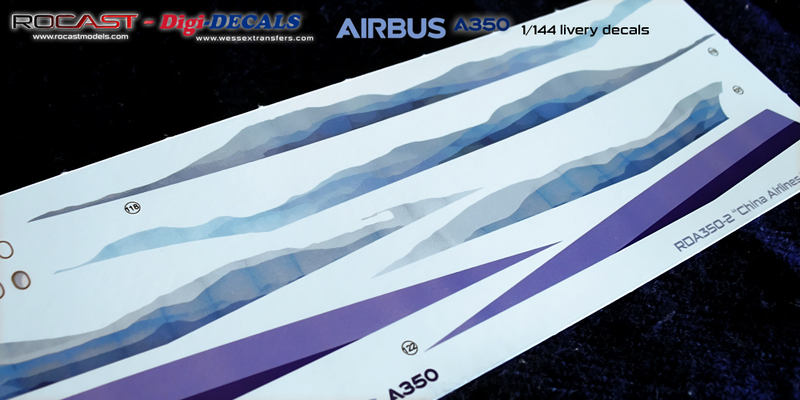 I have received from Rob at Wessex Transfers, the first test print of the A350 livery decal that I’ve been working on for the last month. 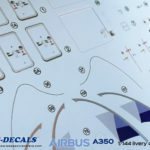 As I have been mentioning in the blog, it will feature two new decal types which I think, haven’t been done before in this particular case. 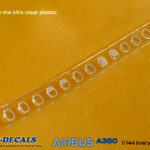 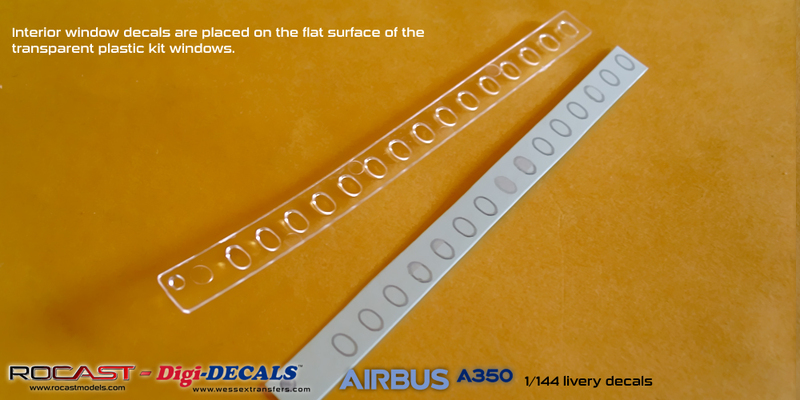 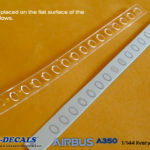 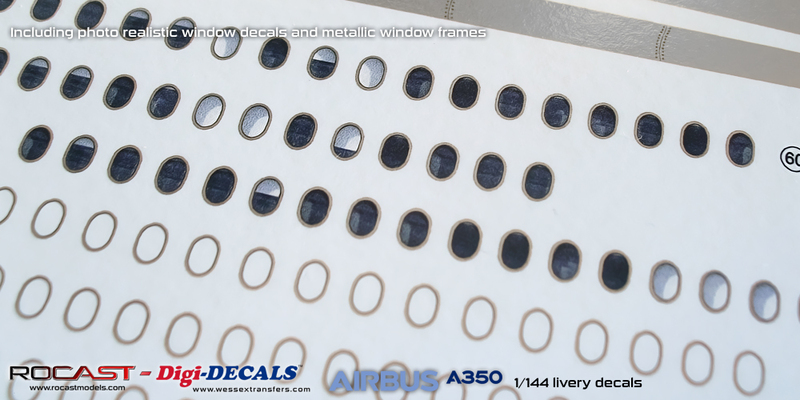 This decal feature consists on a decal that represents the window shades and inner frames and it is placed on top of the transparent plastic windows, but it is not placed on top of the exterior of the windows, but on the inside, on the flat surface of the transparent plastic part. 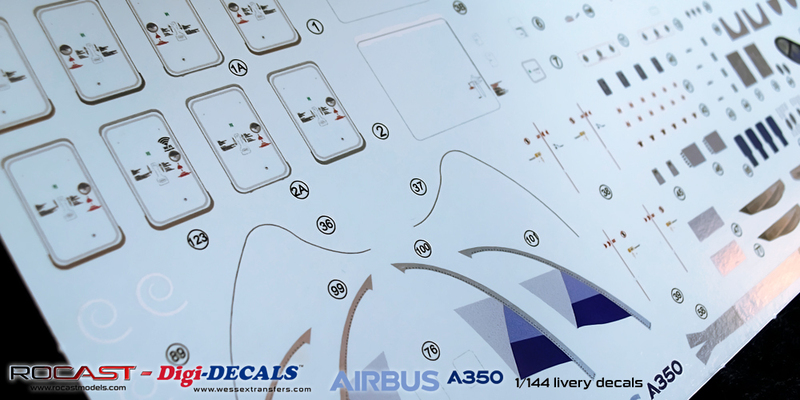 Rob’s long time experience working with decals has allowed for this new type of decal that will increase the realism in the airline models. 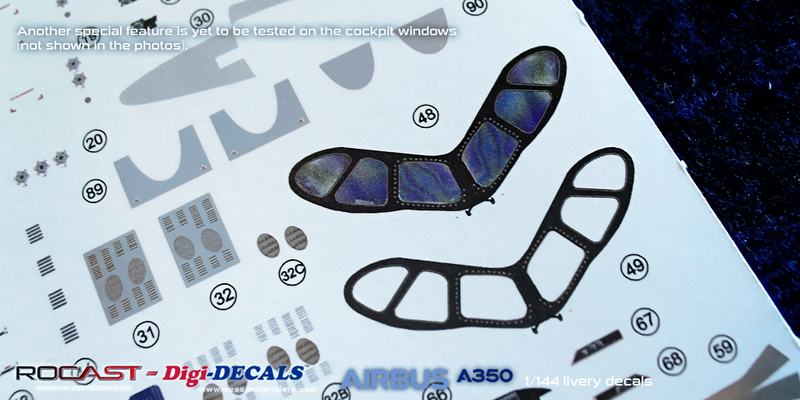 The actual color that you can see from the windows sheet, is not the actual result but just the back of the decal. 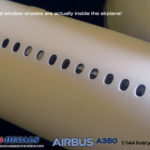 Additionally, the metallic frames can be later placed on the fuselage as always. 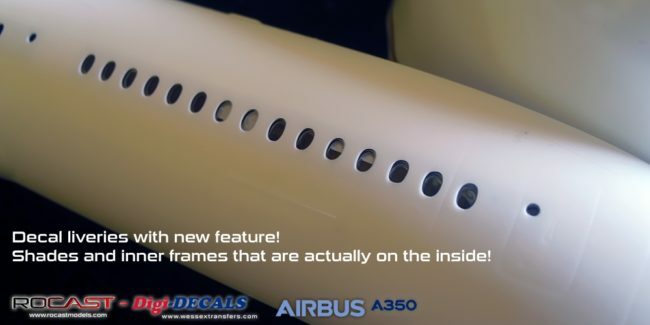 Currently, there will be another feature for the cockpit windows that has yet to be tested. 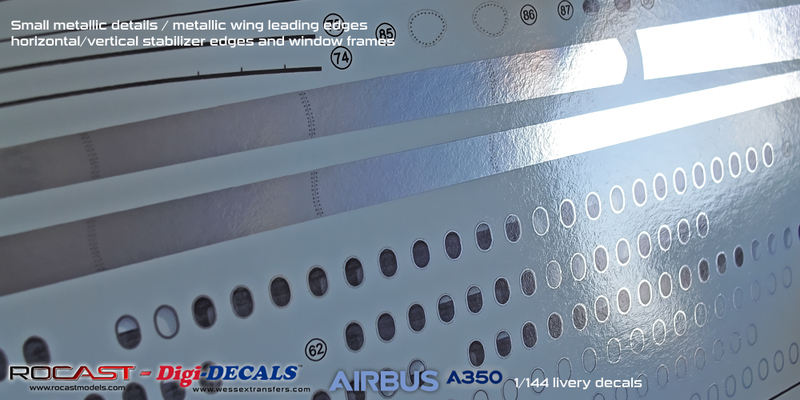 – Photo realistic windows with metallic frames. 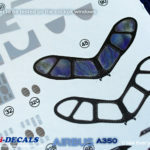 – And yet to determine if the interior window decals will be included in the liveries or will be available separately. 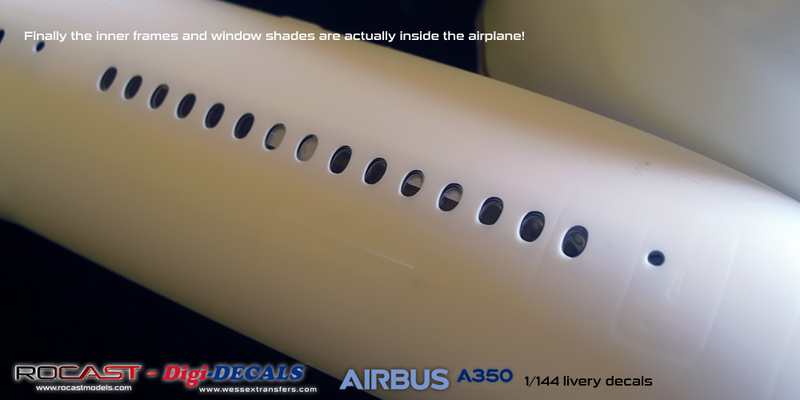 Extra metallic frames for the windows are included as to place them on top of the photo realistic windows + metallic frames after clear coating. 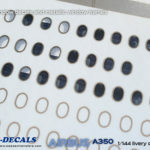 For the reason that metallic may get dull after a thick clear coat which modifies the way the light reflects on the metal particles (similar if we clear coat a chrome part, it will become silver). 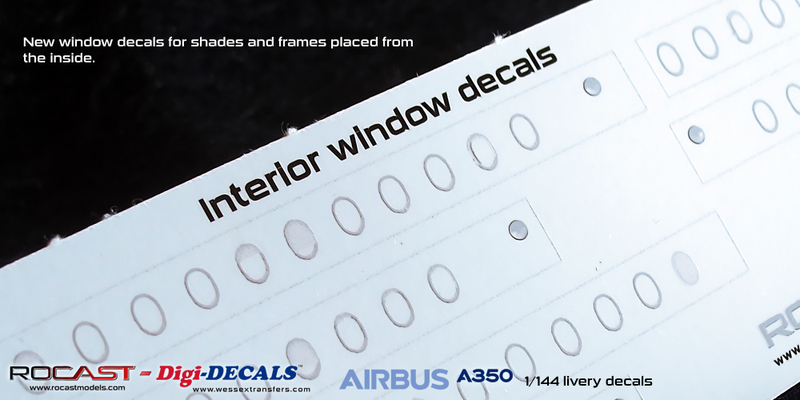 These extra metallic frames can also be placed later if using the interior window decals as I mentioned above. 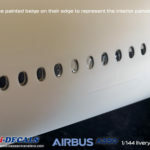 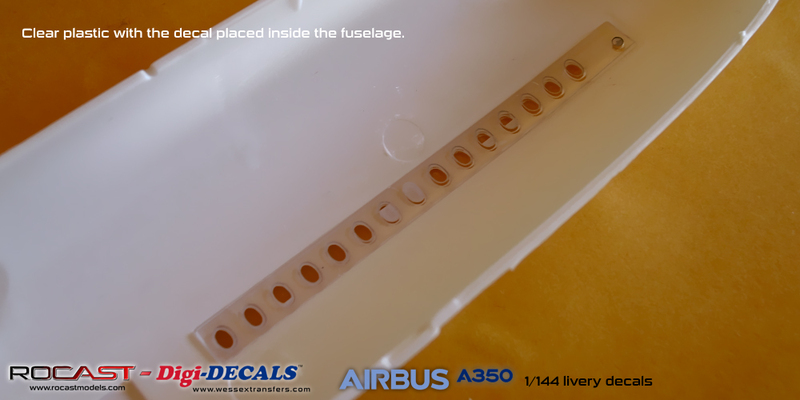 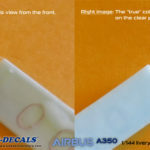 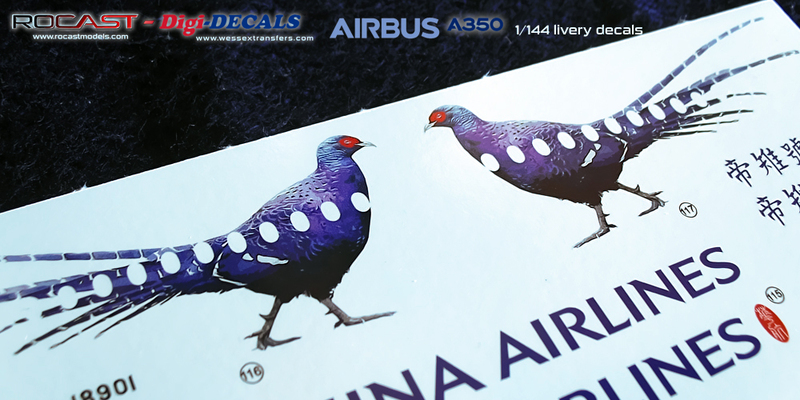 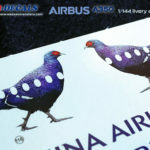 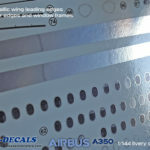 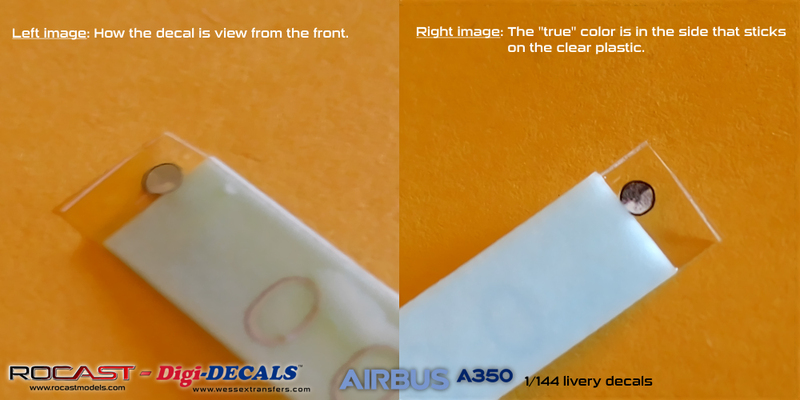 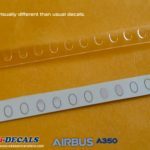 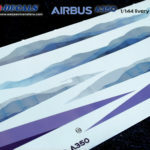 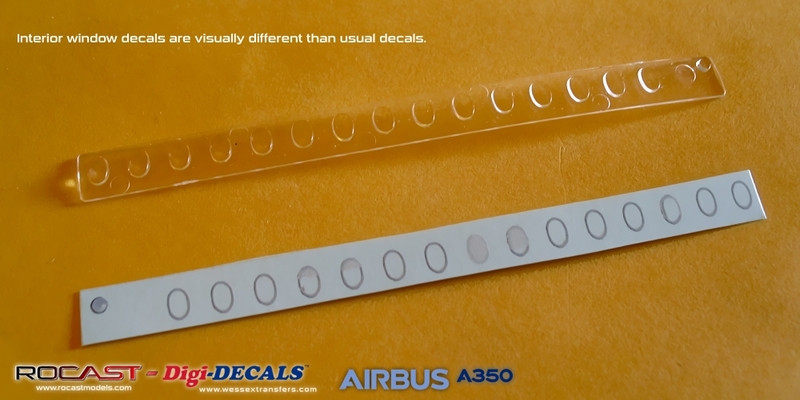 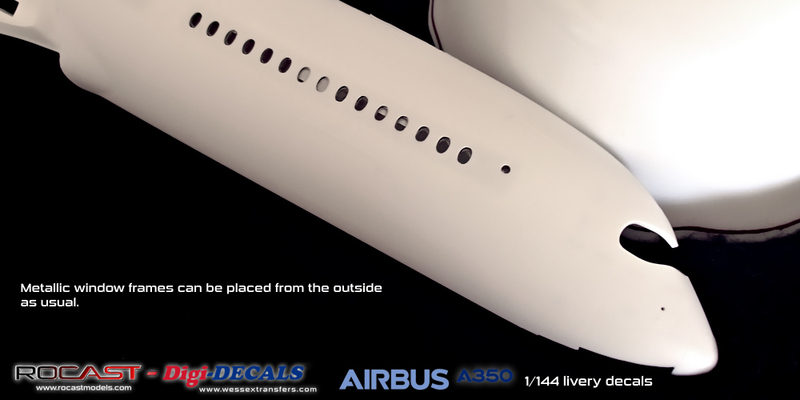 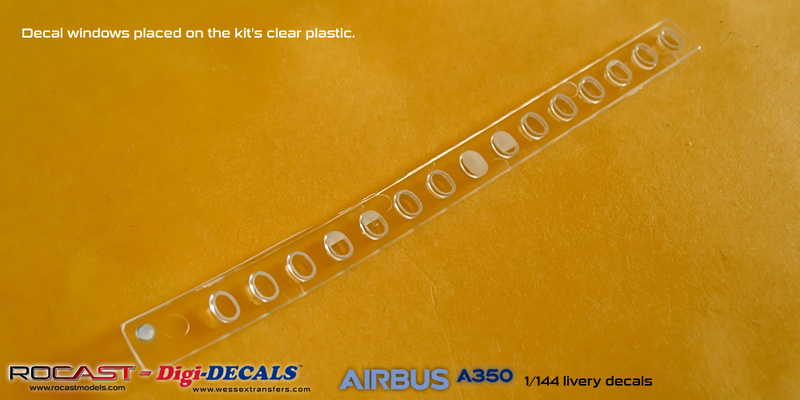 The A350 decals feature other elements such as other metallic details, metallic wing leading edges (no more masking the wings other than for the coroguard), and metallic leading edges for the horizontal and vertical stabilizers. 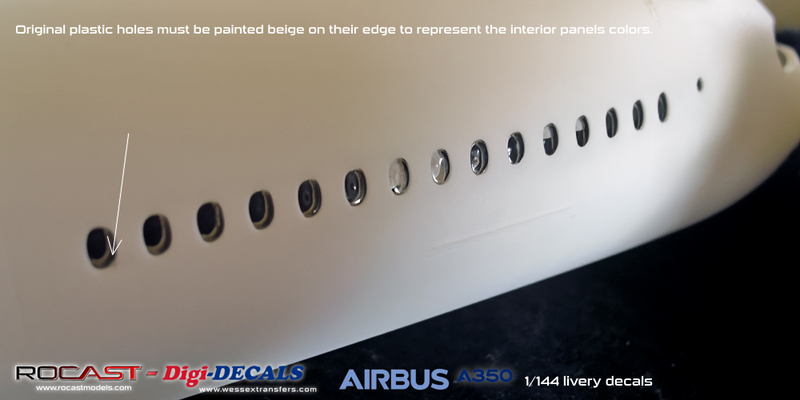 You can always reduce the chrome effect of the leading edges if desired, by applying more clear coats. 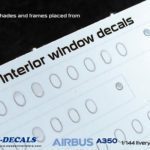 The interior windows decal feature will also be done for other model aircrafts for which we plan to make more liveries such as the B777 and we also may include these for older models. 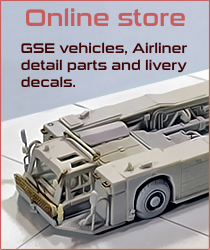 In the meantime I am also working on the remaining stock units, so hopefully everything will be done in a few weeks. 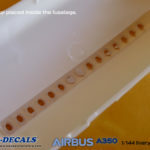 This is the preview no.1 of the process-tutorial I want to write on the build of the A350 China Airlines “Pheasant”, so I hope to start this build in the upcoming days.